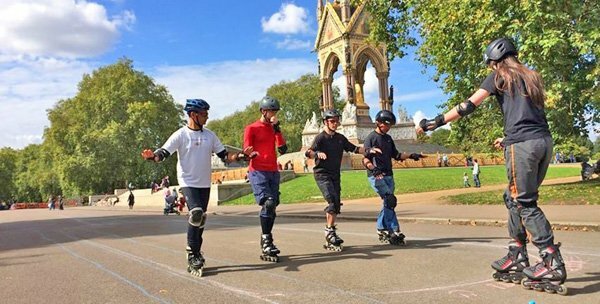 We have had lots of requests at skating for lessons, so a couple of weeks ago, Davy and I (Rachel) took our ICP (Inline Certification Programme) qualification to become inline skating coaches. We were in Hyde Park and had to show all our skills, do a written test and teach a group of four ‘students’ who were told to make lots of deliberate mistakes! We both passed, although Davy can’t teach on his own as he is not old enough. We will be doing our first class for beginners in half term – more details to follow.